This OMAX digital LED trinocular compound microscope includes a digital imaging system. 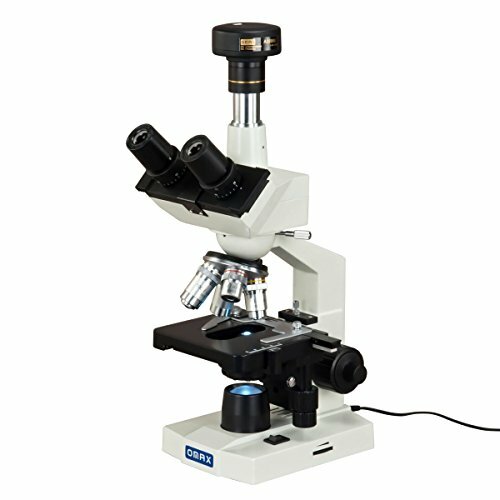 The digital microscopy comes with a 45° inclined 360° swiveling trinocular sliding viewing head, two pairs of widefield eyepieces, four achromatic objectives, stain-resistant double layer mechanical stage with scales, coarse & fine focusing, NA 1.25 Abbe condenser and variable intensity LED transmitted illumination system. 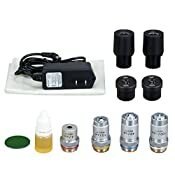 It offers six levels of magnification power: 40X-100X-250X-400X-1000X-2500X. The 5MP (2592x1944 pixels) USB digital imaging system that captures still microscope images and live video on computer. The included software compatible with windows, Mac OS and Linux operating system can also be used to make measurements. 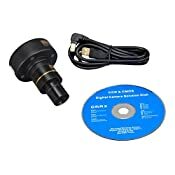 It is easy to mount a darkfield condenser to switch a brightfield microscope to a darkfield microscope. 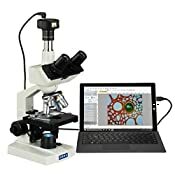 This type of digital compound microscopy is perfect for teaching demonstration and clinical examination, laboratories and advanced applications.